In a climate of giant corporate medicine, we take pride in offering specialized Orthopaedic treatment to our patients in a comfortable private practice setting. ..
​The majority of our patients never planned to see an Orthopaedic Trauma Surgeon. ​"I met Dr Kaska after I was involved in a motorcycle accident the last day of march 2014. I put my victory motorcycle through a guardrail at about 55 mph. I hyper extended my left knee tearing one of the ligaments and damaging the meniscus and had broken both bones in my left forearm requiring two plates and 21 screws. I was admitted to the hospital where another surgeon attempted to install the required hardware. After 6 hours of surgery I was returned to my hospital bed and awoke to find the operation was a bit shy of a success. The unnamed Dr accidentally dislocated my elbow and damaged one of the nerves leaving my left hand completely useless. He informed me when I awoke that he couldn't figure out how to fix my arm or get my elbow relocated and that he he'd put out a few emails for help. I spent a total of 15 days in the hospital ten of them waiting on this guy to perform the surgery and four waiting for him to find a more competent doctor. Leaving me completely crushed, I'm a barber by trade and a full time biker. I make a living with my hands and i live to ride motorcycles. Thankfully his email eventually reached Dr Kaska. He came in and ordered x-rays and was back with me in an hour to tell me my surgery was scheduled for noon the next day. Dr Kaska removed the plates and screws reinstalled them correctly and put my elbow back in its intended location. I was released the next day with a functioning left hand. Its been three months since my surgery I'm now back to work 6 days a week and have enough strength to work a clutch again. Dr Kaska saved my career and made it possible for me to keep my knees in the breeze. This guy knows his stuff and I owe him a lot. I can't thank Dr. Kaska and his friendly staff enough they truly gave me a second lease on life!" - C.B. "Outstanding - my knee replacement surgry was perfection - I can walk again!! After seeing a previous surgeon in Fallbrook (who was terrible!) I was referred to Dr. Kaska who quickly detrmined the problem and provided the best solution. I woud absolutely recommend him!" - S.P. 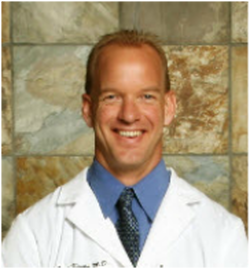 "Dr. Kaska provided great service, both during my surgery and post-op. He treated me with the care I expect from a doctor. He paid close attention to my injury and assessed my recovery based on my individual case. I felt very satisfied with his services and highly recommend him" - L.D. 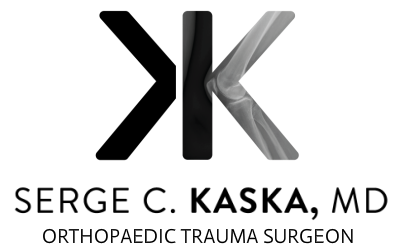 "Dr. Kaska literally saved my foot and possibly my life. He saw me as an emergency case after another surgeon had not been on top of an infection brewing post surgery. Dr. Kaska attended to me for 15 days in the hospital and for months afterward. He did so with extreme competency, professionalism and profound compassion. I recommend Dr. Kaska with full confidence. My husband and I consider him a huge blessing in our lives" - K.G. "Restored my communated fib and my displaced tib. Excellent surgeon" - N.B. "An excellent surgeon. He actually restored my ankle after a compound fracture. I highly recommend him and I would certainly return to him." - D.B. "I was referred to Dr. Kaska by the ER doctor at Tri-City Hospital when I broke both my wrist and arm in a fall down a hill when walking my dogs. I was in a great deal of pain. Even though his schedule was full, he found a way to squeeze me in. He recommended I have surgery right away and made all the arrangements at a surgery center. I had to have a plate installed but, the results are amazing. If it weren't for the hair-line scar, it would be hard to remember I ever had the broken bones. In less than a month I was out of the soft cast and on my way to a very quick and full recovery. It was amazing. I didn't even need any therapy. The surgery was over 3 years ago and I have never had any problems or inconveniences. Dr. Kaska is TERRIFIC in my book. I would highly recommend him. Knock on wood, I'll never need to consult an orthopedic specialist again, but if I do, without a doubt, I'll be calling his office." - C.W. ​Located in North County San Diego, in the city of San Marcos. ​Dr. Kaska cares for his patients in a comfortable private practice setting with a friendly and professional team dedicated to providing excellent care. Please call the office during business hours if you would like to verify your insurance eligibility and coverage or to inquire about cash pricing.